August 2018 marked the second anniversary of Instagram Stories. In just 24 months the 24 hours lasting content has gained 400 million daily active users. And those won’t disappear after 24 hours! Instagram Stories are here to stay. At least for the foreseeable future. And with the imminent launch of Facebook Stories ads, we can expect quite a change in the way users share content from the News Feed to Stories on both platforms. 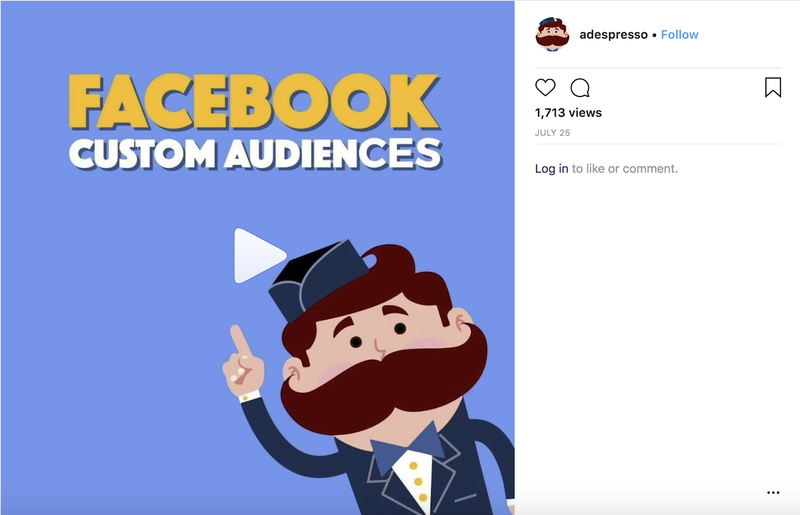 Are you planning to integrate Instagram Stories ads into your Instagram Ads strategy? Good choice! But did you know that users perceive and use Instagram Stories and Feed in different ways, and are driven to both formats for different reasons? Yes, BOTH formats. So before jumping in with both feet, you must know what to expect. 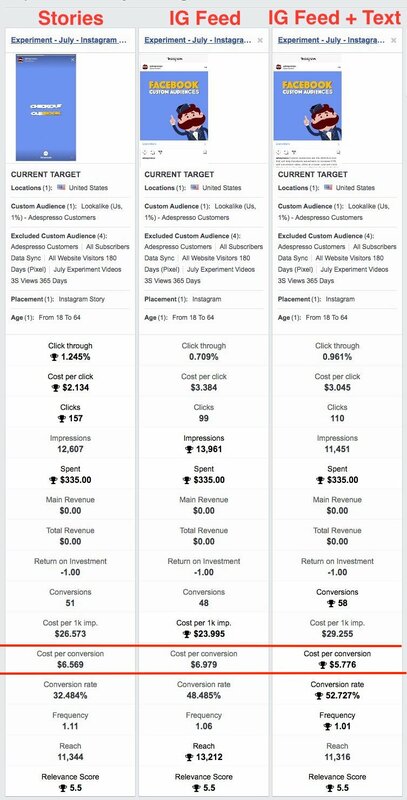 To ensure you get the most out of your marketing budget, we’ve done the groundwork for you with our latest $1,000 experiment. To give marketers more insights and help them deliver what consumers want on each, Facebook IQ: Digital Research and Insights surveyed a group of experts (10,000 Instagram users, aged between 13-55 years old and who lived in Brazil, Indonesia, the UK, and the US). The research revealed that 39% of Instagram users have become more interested in a brand or product after seeing it in Instagram Stories. Because Stories are still so young, they’ve slipped under the radar of a lot of social media experts, but be aware that at the current growth rate they are set to overtake the traditional newsfeed for sharing, perhaps as early as 2019. This scenario presents both a challenge and opportunity for Instagram. The challenge is that up until now it’s been hard for them to monetize Stories as effectively as feed ads. To turn this into an opportunity, Instagram is looking to introduce unskippable Stories ads. For a lot of digital marketers that means we need to pay attention to Stories (urgently) and start testing the platform NOW. Are you wondering what type of content to post? How to optimize it for Stories? What kind of results should you expect? What can be set as ‘good’ Instagram Stories ads performance? And is it so much better than the good, old Instagram Feed ads? Let’s wear our lab coat and find some answers! A set of images or a 5-15 second video can be used for Stories, and the ideal creative is in a 9:16 portrait ratio. As there isn’t any additional text or headline to accompany the visuals, we decided to use video for our test, because we could convey as much information as possible in the 15 seconds. To run the best test we needed the best video ads, and we got them, thanks to the creative skills of Edoardo and his team at Combocut, a video creation agency based in Milan (just like AdEspresso) that works with businesses worldwide. The Stories version is slightly shorter as there’s a 15-second limit, but apart from that, the videos are very similar. As mentioned above, one limitation with Stories is the lack of any additional ad text. We then chose a US-based cold audience of approximately 2.1 million in size, using a 1% lookalike of current customers and excluded recent website visitors, current customers and also leads. 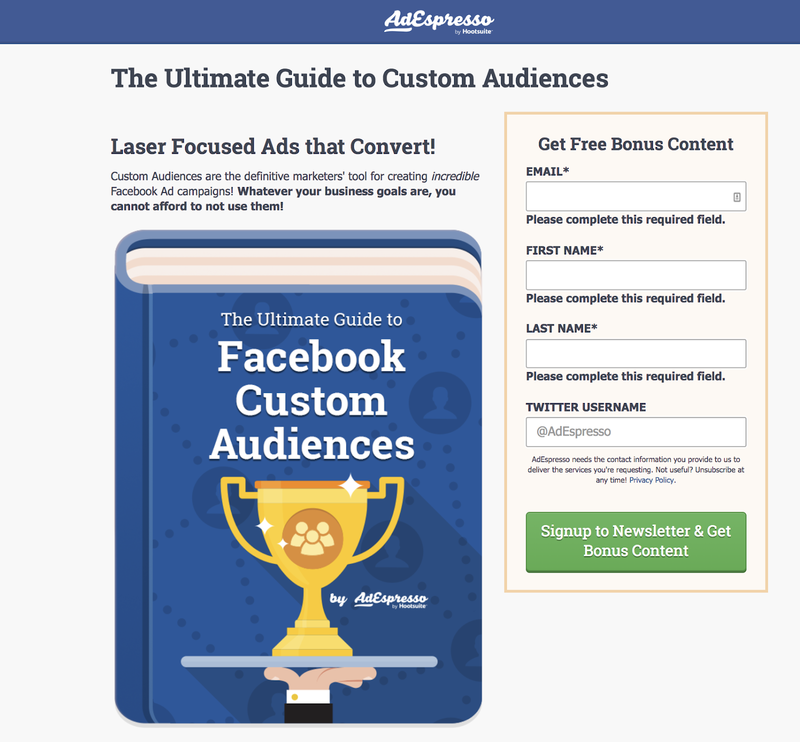 The aim of the adverts was to get users to click through to our landing page and download our Ultimate Guide To Facebook Custom Audiences. Once the user entered their details they got taken to a thank you page to download the guide and here we fired the Lead pixel event. Therefore we tracked the number of leads and the cost per lead (CPA) as the primary goal for each campaign. As we were pitching a niche B2B product and we expected Stories to work best for simple consumer offers. As we’ll discuss below, we were partially right about conversion rates, although the difference was less than expected. The results show that an Instagram Feed with additional ad text results in the lowest cost per lead due to the highest conversion rate. However, Instagram Stories gives the best click-through rate and cost per click. Instagram feed ads with additional text can still outperform Stories for cost per conversion. However, there was only a 14% difference, and we used ad text that had been written by a professional copywriter and had already been heavily tested. When the ad text is removed, we can see that Stories actually has a slightly better CPA by 6%. Stories had a higher CTR, and lower CPC so sent more traffic to the website. The Stories advert might have generated more interest, but due to the limitations of the format, we couldn’t convey enough information in the ad itself so to have a lower conversion rate. With A/B testing of the landing page, perhaps by including more key information, it might be possible to lower the cost per lead for Stories. The choice between Stories and News Feed ads depends a lot on your offer. 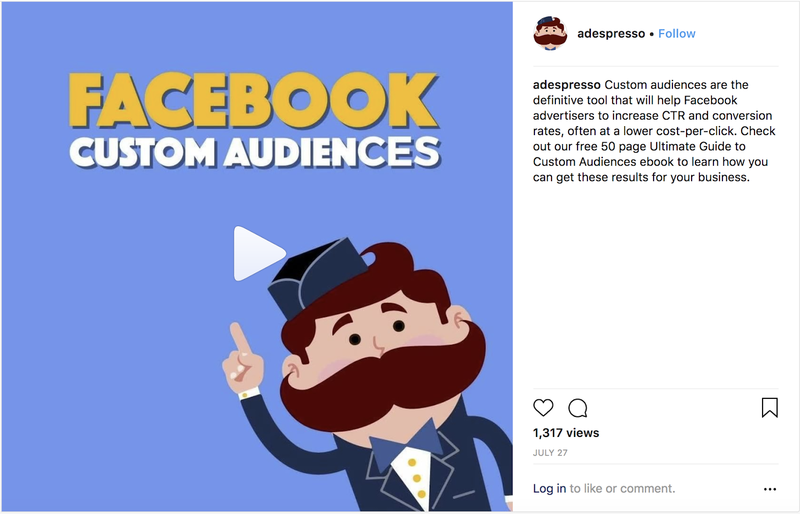 An ebook for Facebook Custom Audiences is a complex product to explain in a 15-second video. A simple offer, for example, “half-priced iced coffee on Fridays if you download this coupon” could see even better results with the Stories format. If you’re not already testing the Stories format, then you risk getting caught out when it starts to overtake the newsfeed for organic posting. Even if you just devote 5% or 10% of your budget to testing new ideas, this will put you in a good position for when unskippable Stories ads will roll-out. We are aware that Stories requires more creative resources, especially to fit in with the look and feel of organic Stories posts which generally are more informal and use a lot more stickers and emojis than newsfeed posts. There’s a real art to editing a video down to something that can still tell a story in just a few seconds, and this is why we turned to a professional video agency. It is still possible to produce good stories with fewer resources, but make sure your creative team is familiar with the Instagram Stories format (as traditional Facebook creative -which is generally more formal- is unlikely to produce the same results if used for Stories). Finally, with 400 million daily active users and an astronomical growth rate, go where your users are and don’t be a marketing dinosaur! We’ve had strategy sessions with numerous marketing managers who refuse to consider Stories because they don’t use them personally. Large enterprise-level businesses are slow to adapt to new trends, so this is your chance to beat them and keep your brand looking young, fresh and right on trend. I have a question that has nothing to do with the experiment. What campaign objective you chose for this? Lead generation? Thank you for the great content as always. I like your good explanation. I think to promote news feed or stories we can take advantage of Free Advertising online. It may promote our business, just said. Thanks for providing a post with exact numbers, this helps much more to see a clear picture of these ands. My experience is that stories usually get much more impressions but have higher CPC so far. IMHO, Instagram Stories that we’ve ran usually have a 10-15% premium on the Cost Per Result metric and that could be possibly justified due to the space given to the ad in the 9:16 aspect ratio [covering almost the entire screen]. For IG stories, it might be better to use it with Reach/Views/Brand Awareness kind of metrics.